Among other benefits, SACSCOC accreditation enables Trenholm State Community College to maintain eligibility for student financial aid through the U.S. Department of Education. 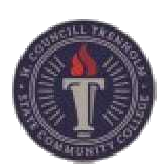 Welcome to H. Councill Trenholm State Community College's website that supports our application for membership in the Southern Association of Colleges and Schools Commission on Colleges (SACSCOC). This website provides explanations for all principles of accreditation. In addition, each section of the site illustrates how we meet each specific requirement or standard by providing evidence. Trenholm State's educational program represents a unique mix of challenging academic study as well as career-oriented hands-on experiences. Our beautiful campuses provide the context and backdrop for a wonderfully wholesome college experience in which students study, gain on-the-job experience, and interact socially. We encourage you to learn more about Trenholm State through viewing our website at https://www.trenholmstate.edu. At the same time, all of us at Trenholm State‒faculty, staff, and administration‒heartily and eagerly await the opportunity to welcome you in person. H. Councill Trenholm State Community College’s (Trenholm State’s) proposed Quality Enhancement Plan (QEP), “Raising the Bar for Math Success,” will focus on enhancing student learning and success in developmental mathematics. The process of selecting the QEP theme was designed to be open and include all college stakeholders, with a continued focus on ensuring the topic was aligned with Trenholm State’s mission and connected to its strategic plan. After several campus-wide meetings and review of institutional research related to student learning and performance outcomes, the QEP Committee identified the topic of most relevance and need to improve student learning and overall achievement. Institutional data and performance trends highly informed this decision. In spring 2017, for instance, 80.7 percent of first-time college students entering Trenholm State were placed in developmental mathematics. Furthermore, data revealed that completion rates for students in developmental mathematics during fall 2014, 2015, and 2016 ranged from a low of 54.9 percent to a high of 75 percent. The proposed QEP is designed to meet the needs of developmental math students and move them successfully through remediation not only faster, but prepared to succeed in college-level coursework. The QEP goals and student learning outcomes will serve as the foundation for assessing the impact of the QEP implementation strategies. Trenholm State expects that through the QEP, data collection will demonstrate a decrease in the number of students taking developmental mathematics, improve success rates for students enrolled in developmental mathematics and capstone mathematics courses, improve developmental mathematics competencies, and provide a positive experience for students in mathematics courses. To achieve the QEP goals, initiatives within the QEP include developing a “math boot camp” to provide math instruction and overview of math concepts before students take the math placement assessment with the goal of decreasing the number of students placing into developmental math courses; provide professional development for all faculty to ensure students are enrolled in appropriate developmental math courses and capstone math courses during the first or second semesters of enrollment; redesign the developmental mathematics curriculum and instructional delivery methodologies in accordance with the Emporium model which demonstrates success in mathematics courses; and use primarily full-time instructors to teach developmental math courses to enhance availability and student support. Trenholm State's regional accreditor, the Southern Association of Colleges and Schools Commission on Colleges (SACSCOC), directed all colleges and universities in the southern region to provide information to the public regarding our goals for student achievement and the extent to which we attain them. Below are Trenholm State's outcomes, performance criteria, and most recent results. For comments or questions about this information, contact Dr. Mimi Johnson at mjohnson@trenholmstate.edu in the Office of Institutional Effectiveness. The Southern Association of Colleges and Schools Commission on Colleges is the regional body for the accreditation of degree-granting higher education institutions in the Southern states. It serves as the common denominator of shared values and practices among the diverse institutions in Alabama, Florida, Georgia, Kentucky, Louisiana, Mississippi, North Carolina, South Carolina, Tennessee, Texas, Virginia and Latin America and other international sites approved by the Commission on Colleges that award associate, baccalaureate, master's, or doctoral degrees. For more information, see http://www.sacscoc.org/ . According to SACSCOC, Accreditation ensures constituents and the public of the quality and integrity of higher education institutions and programs, and to help those institutions and program improve. In order to award degrees/certificates and to be eligible to receive student financial aid and participate in other federal programs, institutions in the U.S. must be accredited by one of six regional accrediting bodies that are recognized by the U. S. Department of Education. The Southern Association of Colleges and Schools Commission on Colleges (SACSCOC) accredits institutions in the state of Alabama. This peer-review accreditation process involves a comprehensive self-study, off-site review, a 3-day on-site visit, and review by the SACSCOC Board of Trustees. 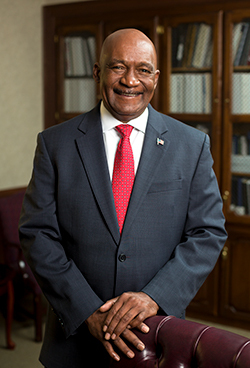 Further, SACSCOC states, "When accreditation is awarded to an institution of higher education by the Southern Association of Colleges and Schools Commission on Colleges (SACSCOC), it means that the institution has (1) a mission appropriate to higher education, (2) resources, programs, and services sufficient to accomplish and sustain its mission, (3) clearly specified educational objectives that are consistent with its mission and appropriate to the degrees it offers, and that it is (4) successful in assessing its achievement of these objectives and demonstrating improvements. Accreditation by SACSCOC is a statement of the institution's continuing commitment to integrity and its capacity to provide effective programs and services based on agreed-upon accreditation standards." Why is it important to TSCC? Accreditation is important to TSCC because it is important to the success of our students. Without recognized regional accreditation, our students cannot earn valid degrees/certificates. Additionally, SACSCOC contends that the purposes are to 1) improve quality throughout the institution, 2) assure the public that institutions meet established standards, and 3) enable institutions to provide financial aid. Accreditation demonstrates to our constituents that we operate with integrity in all matters and provide quality education to our students. After institutions receive initial accreditation through SACSCOC, they are reevaluated every ten years for reaffirmation of Accreditation." In this process, each institution addresses 2018 Principles of Accreditation covering topics such as integrity, governance and administration, finances, faculty, student services, educational programs, and policy compliance. Based on these principles, a self-study called the Compliance Certification Report is submitted for review. The report includes detailed narratives of our programs, services, and processes, as well as documentation and data to support our claims. An off-site team of peer higher education professionals reviews that report and provides feedback. Then, the institution responds to that feedback and prepares for an on-site review. A separate team of peer reviewers visits the campus to make their final assessment. The last step in the process is the review by the SACSCOC Board of Trustees. TSCC submitted its Compliance Certification Report in March 2018. Our on-site reaffirmation review will be on October 9-11, 2018. Then, the Board of Trustees for SACSCOC will make decisions regarding our reaffirmation in December 2018. What's the benefit to TSCC when we complete reaccreditation? Accreditation is all about continuous improvement of the university and its processes in order to support students in achieving academic excellence. Through the process of accreditation, we have the chance to evaluate our programs and services. If we are successful in improving our processes and procedures, then students will benefit. In addition, TSCC will continue to have degree-granting authority and access to federal programs including student aid. The Quality Enhancement Plan is an integral part of the accreditation process, emphasizing SACSCOC's and the institution's commitment to continuous improvement. The QEP addresses a single, specific issue that can help strengthen and improve student learning. The QEP will be the major focus of the site visit in October. Trenholm State's QEP is Raising the Bar for Math Success. It is a five-year effort that focuses on enhancing student success in developmental math. To learn more, go to https://www.trenholmstate.edu/college-information/qep-quality-enhancement-plan/ . The institution operates with integrity in all matters (Integrity) (Core Requirement). The governing board is not presided over by the chief executive officer of the institution. The governing board defines and regularly evaluates its responsibilities and expectations. (Board evaluation) No previous requirement. Current CS 3.2.11, adds "educational"
The institution demonstrates that (1) the chief executive officer controls any fund-raising activities of that entity or (2) the fund-raising activities of that entity are defined in a formal, written manner which assures that those activities further the mission of the institution. The institution requires the successful completion of a general education component at the undergraduate level that is a substantial component of each undergraduate degree program. For degree completion in associate programs, the component constitutes a minimum of 15 semester hours or the equivalent; for baccalaureate programs, a minimum of 30 semester hours or the equivalent. The institution requires the successful completion of a general education component at the undergraduate level that ensures breadth of knowledge. These credit hours include at least one course from each of the following areas: humanities/fine arts, social/behavioral sciences, and natural science/mathematics. These courses do not narrowly focus on those skills, techniques, and procedures specific to a particular occupation or profession. Current FR 4.3 with added "cost of attendance"
Current CS 3.13.1 referencing policy "Institutional Obligations for Public Disclosure"
Combination of current CS 3.4.3, FR 4.6, and CS 3.13.1,referencing policy "Student Advertising and Recruitment"
The institution ensures the quality and integrity of the work recorded when an institution transcripts courses or credits as its own when offered through a cooperative academic arrangement. The institution maintains formal agreements between the parties involved, and the institution regularly evaluates such agreements. ( Cooperative academic arrangements) Combination of current 3.13.1 and CS 3.4.7 with emphasis on transcripts. Combination of current FR 4.5 and CS 3.13.1 referencing policy" Complaints and Procedures"
The member institution provides the following financial statements: an annual budget that is preceded by sound planning, is subject to sound fiscal procedures, and is approved by the governing board. For applicant and candidate institutions, including an applicant seeking separate accreditation from a current SACSCOC-accredited institution, the institution provides the financial information, including audit requirements, specified in the SACSCOC's policy entitled "Accreditation Procedures for Applicant lnstitutions. Current CS 3.10.1 without referencing "recent history of financial stability"
Combination of current CR 3.14.1 and CR 3.13.1 referring to policy "Separate Accreditation"
The institution applies all appropriate standards and policies to its distance learning programs, branch campuses, and off-campus instructional sites. (Comprehensive institutional reviews) Current CS 3.13.1 referring to policy "Reaffirmation of Accreditation and Subsequent Reports"
The institution (a.) represents itself accurately to all U.S. Department of Education recognized accrediting agencies with which it holds accreditation and (b.) informs those agencies of any change of accreditation status, including the imposition of public sanctions. Current CS 3.13.1 referring to policy "Accrediting Decisions of Other Agencies."